Some familiar faces are returning to The Walking Dead. 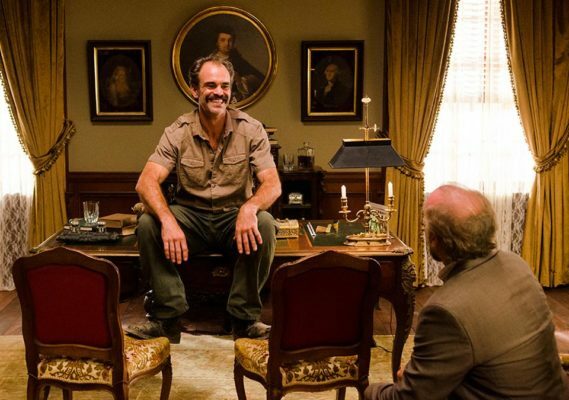 TVLine reports Steven Ogg (pictured), Katelyn Nacon, and Pollyanna McIntosh have been promoted to series regulars for season eight of the AMC TV show. The zombie drama finished its seventh season earlier this month, and AMC has already renewed it for a eighth season. The regular cast includes Andrew Lincoln, Norman Reedus, Lauren Cohan, Chandler Riggs, Danai Gurira, and Melissa McBride. On The Walking Dead, Ogg plays Simon while Nacon stars as Enid and McIntosh plays Jadis, the leader of the Scavengers. What do you think? Are you a fan of The Walking Dead? Are you looking forward to season eight? I love this show. My husband and I have not miss one episode. However I was really P.O. when they killed Glen off. He was one the originals and he should of stayed. I do not want the show to end. Too much drama and off track stuff going on season 7. So disappointed. Not buying this season, watch on Netflex. OH YESSSSSSSSSSS LOVE THE SHOW and I am waiting for the new air date !!!!!!!!!! !